Dynamic app user segments that are built continuously in real time. Live User Segments let you track what is happening in your app right now so you can engage users with relevant messages as soon as new segments are created. 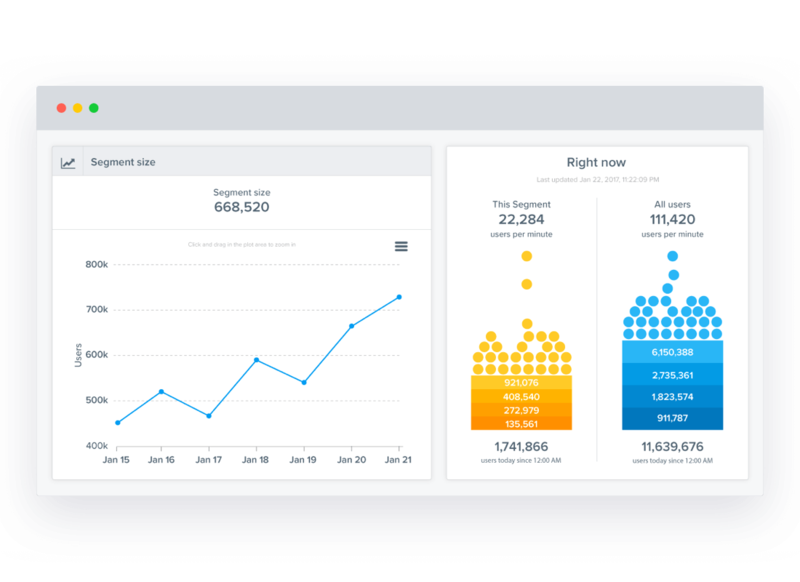 Build a comprehensive app marketing dashboard to see who your active app users are, what they’re doing, and where they’re coming from. This detailed analysis helps you evaluate and optimize your app engagement strategy in real time. Your app users get what they’re looking for, and you get to build customer loyalty. When users are unable to find what they are looking for, they are likely to abandon your app. Before you know it, your loyal user numbers have dropped and they are at risk. Your app’s continued success depends on identifying users at the right moment so you can take proactive action when it matters. With CleverTap, you can create live user segments based on user action or inaction such as a high-value purchase or cart abandonment. Simply define the criteria for a segment and CleverTap will monitor the user activities that match the criteria. 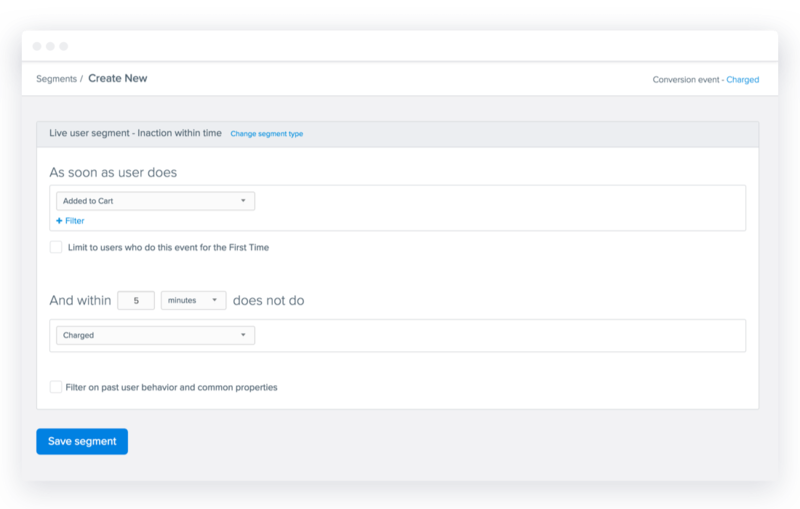 Create campaigns right from the segmentation view to keep them hooked. Create dynamic segments based on users who pass a cetain stage in your app. Send them personalized messages and evaluate this segment to see how many users are engaged and drive monetization by going to the next stage based on your mobile app strategy. Target and influence app users in real-time. To remind users to return to their favorite show, send customized notifications that make them want to return and complete the interrupted activity. Create a superior user experience when they interact with your app for the first time. Guide users through a perfect sequence of steps based on their unique properties and behavioral attributes. Use first-time filter on a live user segment to optimize onboarding on first app launch or send a special loyalty reward to first time buyers to make a lasting first impression. With Webhooks, you can send your data wherever you need without writing any code. Easily integrate with your back-end systems and make decisions in real time.For example, use Webhooks to initiate a call center workflow only for those users who have abandoned their cart with a product value of more than a certain amount, say $500.